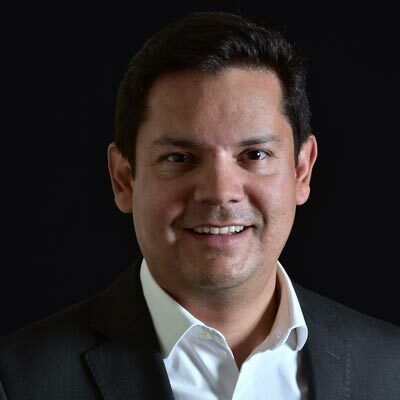 Juan Camilo is the Chief Executive Officer of Rebold (currently in Europe, USA & LATAM). He is in charge of increasing the Rebold’s activity in the markets where the company operates, as well as growing clients’ portfolios, pushing for the development of new services and innovative products, and expanding in new markets. 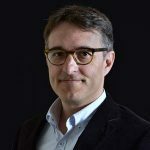 Previously he was the Managing Director of Digilant Spain and EMEA, and before that he was Head of Advanced Digital Marketing at Accenture Interactive Iberia, where he worked for blue chip brands such as BBVA, Telefónica, Endesa, Atresmedia, Meliá, Vuelina, Iberia, Avianca, Inditexa, BMW, and Sanitas, among others. At Accenture, Juan Camilo was in charge of digital marketing developing strategies that help his clients identifying high profitable new business opportunities. Juan Camilo started his career in marketing and digital media at Ogilvy & Mather; he also worked at AndBank private banking; Como, company that develops client management tools in the cloud; and Izo System, experience client consulting company, between others. Juan Camilo earned his BS in Business Administration from the Universidad Complutense de Madrid. He received his MBA from IE Business School, and his masters in Advanced Digital Media Strategy from IESE Business School (in New York). He also holds a master in Marketing and Digital Media Buying from ESIC Business & Marketing School and a Leadership Development program from the Universidad Francisco de Vitoria.